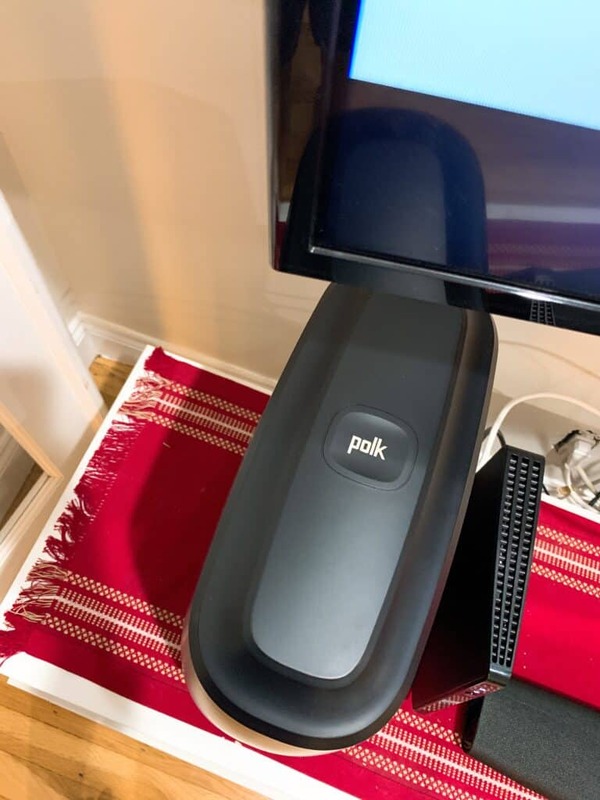 I just brought home the Polk Command Sound Bar and wanted to do a quick review for anyone who is in the market for new smart home devices. Do you love music and use streaming services? Yes, me too. 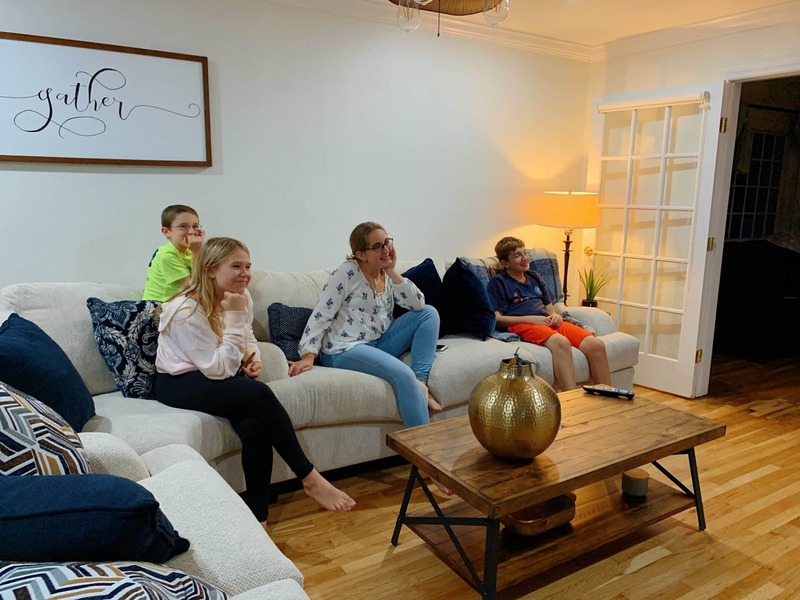 At this point in the game, I feel like upping the at-home movie experience is important for every family. Long gone are the days of weekend movie nights at the theater. When I first married my husband, we would go every single Saturday – like clockwork. But now that we have three kids and a packed calendar, it’s just not a possibility anymore. My love for the movies hasn’t dwindled. In fact, it’s my absolute favorite past time. So, we do what we can to ensure that our entertainment devices are kept up to date and on FIRE at all times. I want to make sure that when we get set up for our favorite horror flick – or when I turn on one of our streaming services – we are good to go. Bring theater-quality sound to your living room with this Polk Command Sound Bar with Amazon Alexa Built-in. Its performance-tuned driver array and wireless subwoofer create an immersive experience, while the integrated far-field microphones provide the ability to control it using your voice via Amazon Alexa. I don’t know how I lived before Alexa?? Like… how did I find out the weather before I aimlessly called out the request into the air? LOL! 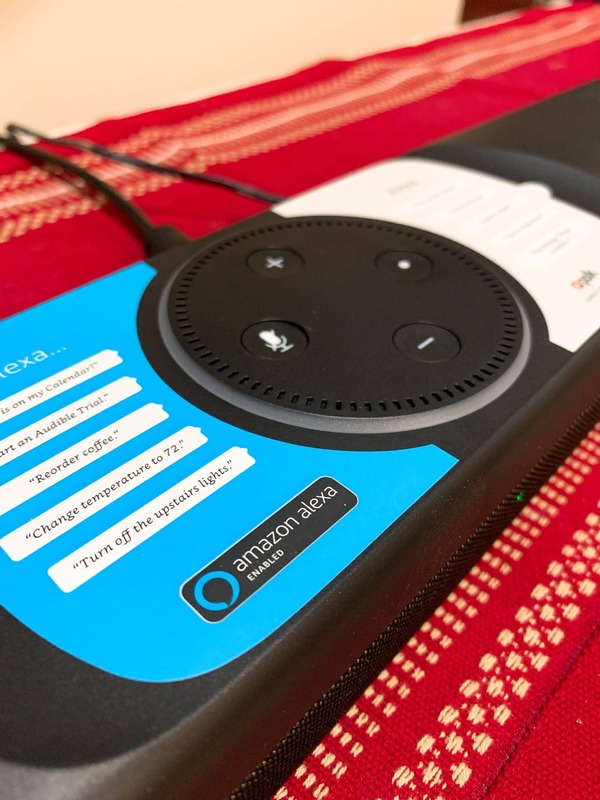 Built-in Amazon Alexa: Easily control, monitor and schedule your electronics using your voice. 260W total output power: Provides quality sound for your favorite movies, shows, games and music. Bluetooth music streaming: Makes it easy to enjoy tracks stored on a compatible Bluetooth-enabled device (not included). Fire TV Compatible: HDMI ports designed and spaced to fit Fire TV and other wide HDMI streaming devices. Built-in USB port also powers original and 4K versions of Fire TV (where Fire TV is available). Universal Compatibility: Included High-Speed HDMI and Optical cables ensure quick and easy setup and the low-profile 2″ design won’t block your TV’s screen. Of course, you want to know about the sound! That’s the whole point of the purchase, right? 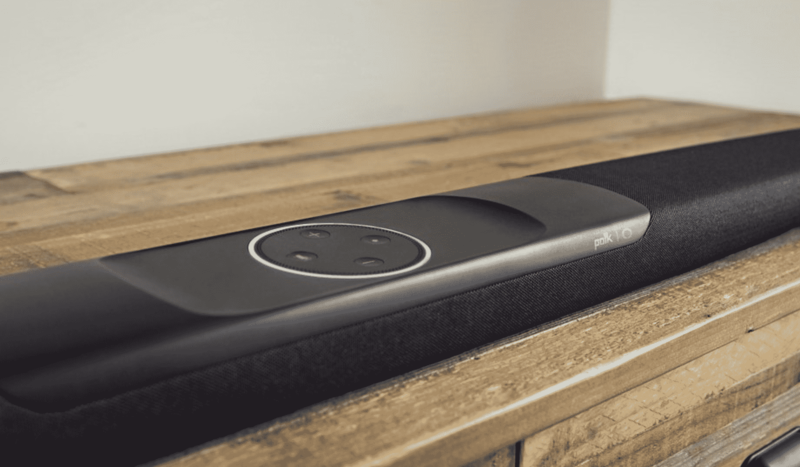 You will be happy to hear that the Polk Command Sound Bar has a wireless subwoofer with Dolby/DTS surround sound decoding which provides an immersive, room-filling home theater experience. BAM! POP! WHAMMO! It’s like being in a Batman show… but in real life. LOL. There’s something really special about FEELING a movie – if you know what I mean. Like I’ve mentioned, I am someone that loves to watch horror films and when those jump scares happen, the SOUND makes all the difference. The Polk Command Sound Bar absolutely contributes to that. Now that we’ve included a sound bar into our mix, there is NO TURNING BACK. I cannot watch a movie without it. Sound MAKES a film. 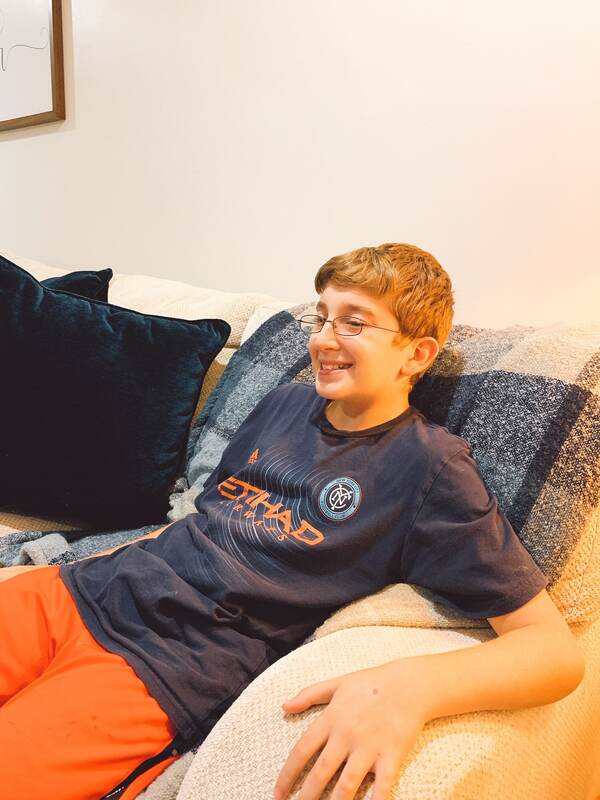 Whether we are listening to our favorite music, pulling up the latest Netflix original, or asking Alexa to define the meaning of life, I know I will be able to enjoy the experience thanks to the Polk Command Sound Bar. Check out the sleek appearance of the Polk Command Sound Bar. 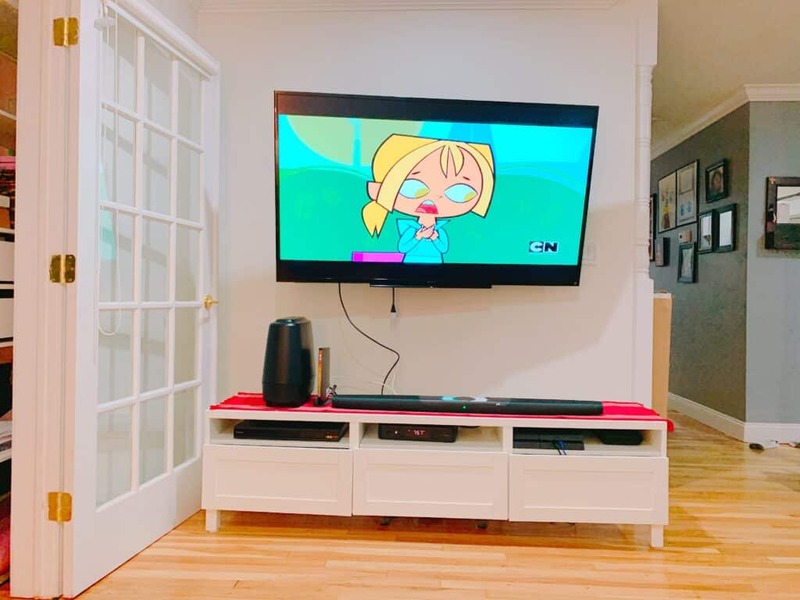 It’s so LOW and thin and fits seamlessly along most HDTVs for a streamlined look. We are currently redecorating my entire house. No, I’m not exaggerating. 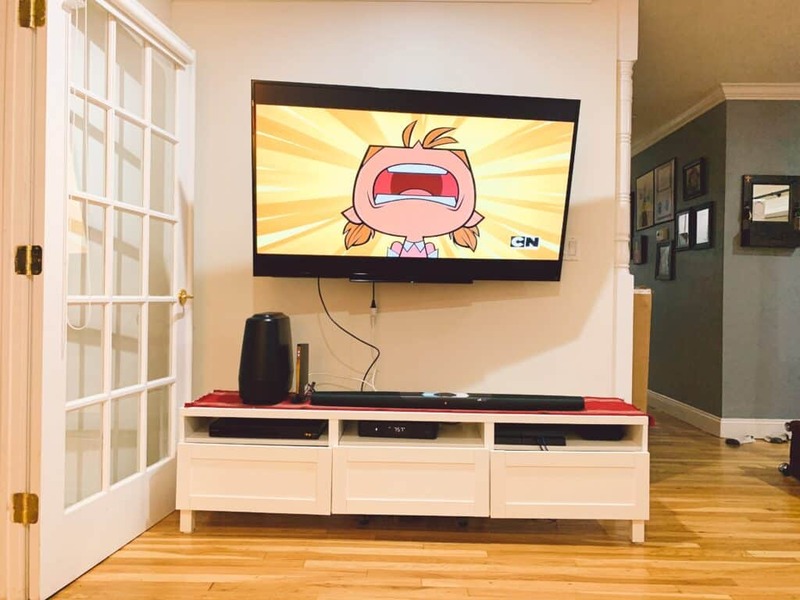 I love the feel of the sound bar because it goes perfectly with my new design. Be sure to visit Best Buy to learn more about the Polk Command Bar.